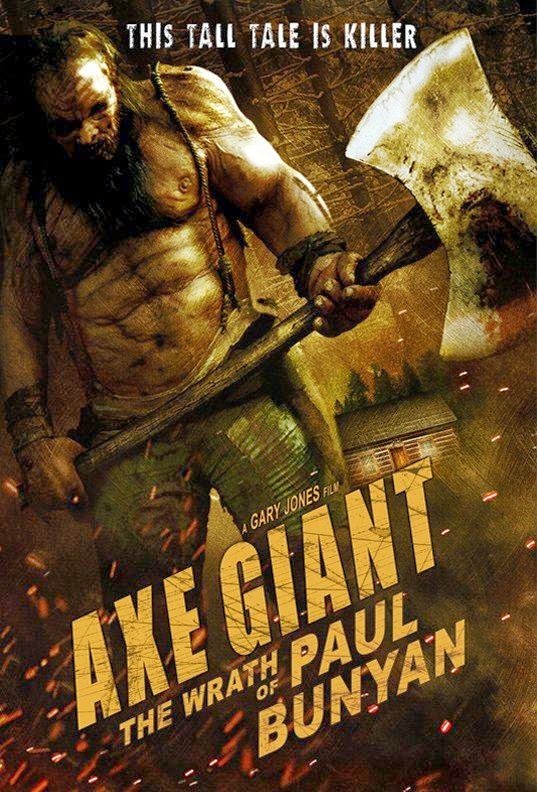 AXE GIANT: THE WRATH OF PAUL BUNYAN takes the famous tall tale character and turns him into a lumbering serial killer who hacks his way through CGI gore for most of the 90 minute running time. A group of stock characters serve as fodder for Bunyan after they piss him off by inadvertently swiping one of Babe the Big Blue Ox's horns from his skeletal remains. Throw in Martin Sheen's brother Joe Estevez basically playing himself, and you end up with one huge pile of Bunyan dookie. This woodpile is available on Netflix, VUDU, and Amazon Instant Video, but as always, you're better off leaving the axe wielding to us. We don't want you to hurt yourselves.